Flexible gooseneck condenser mic with programmable button. 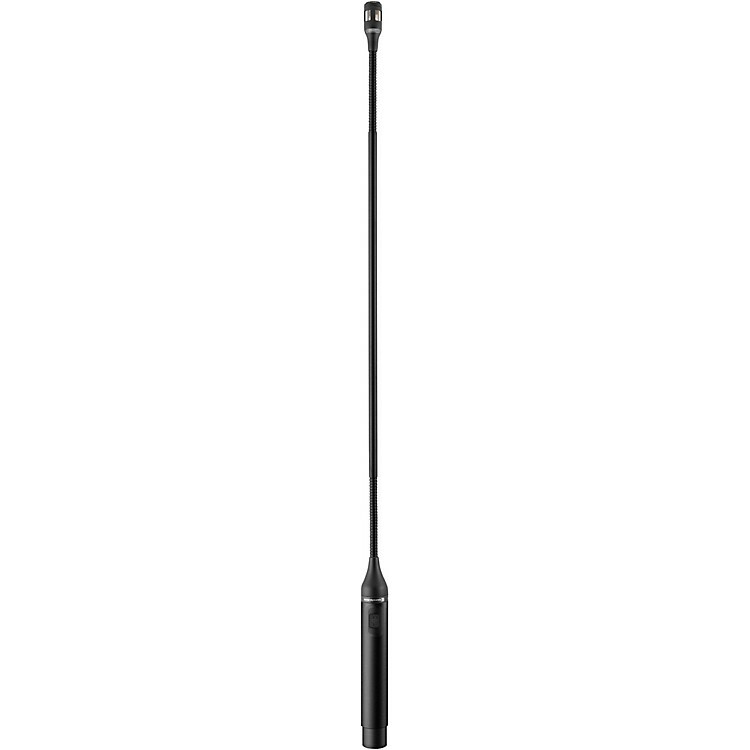 Beyerdynamic Classis Series gooseneck microphones are made to be discrete. With exceptionally small mic capsules and an ultra-thin design, Classis series mics stay out of the way while delivering a world-class sound that's perfect for presentations or permanent installations where you want the focus to be more on the talent than on the gear. The Classis Series features a thin 6 mm gooseneck design that is easily adjustable to achieve ideal mic placement, and the matte black, non-glare surface keeps the microphone from stealing the spotlight. The improved cardioid polar pattern of the Classis Series ensures maximum volume with high gain before feedback and excellent intelligibility of speech and is versatile for a wide range of applications including presentations, conference systems, mixing consoles and paging systems. With the SP variants you can select via the programmable button between the operating modes ON/OFF, Push-To-Talk and Push-To- Mute. The microphone button can also be disabled. The frequency response can be set with a separate switch in two stages: Linear or with low-cut filter to suppress low-frequency interference. The illuminated ring indicating the microphone status can be deactivated. In addition to the features of the SP variants, the RC variant provides the option of external control. Furthermore, when operating the microphone button, an external device can be controlled via the control output. Keep the focus on you, not your gear.